Made with pure Kazan Squirrel Hair. 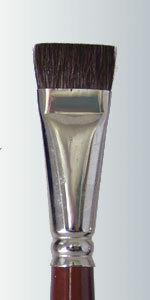 Used for applying and blending china paints. Its short hair makes it easy to blend and feather your paint.